As co-founder and creative director of Liquid Interiors Limited, Rowena specializes in the studio’s design direction and green initiatives. Rowena has been working in the field of interior design for the past 9 years. She was born in Montreal, Canada and has received a B.I.D. (Bachelor of Interior Design) from Ryerson University, Toronto. After her working in Toronto and Montreal she then moved to Hong Kong to further her career in 2006 and has designed projects across Hong Kong and the Asia Pacific. Rowena is also a LEED AP (Leadership in Energy and Environmental Design Accredited Professional) with a specialization in Interior Design. Liquid Interiors is known for creating innovative and memorable green environments connecting objects, space, ideas, personalities and lifestyle. To assure quality in each office, boutique, restaurant and home, Liquid uses LEED design strategies so clients can benefit from improved air quality, energy & water savings, marketing value and responsible design. Eco Mattresses – what, which & where? 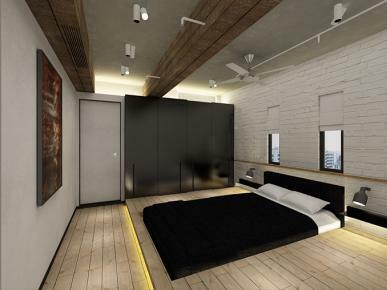 An Eco Mattress in an Eco-Flat designed by Liquid Inteirors in Sheung Wan, Hong Kong. If you are lucky enough to live into your 90s you will have spent about 30 years of your life asleep. Mattresses are a big part of your life & your home. 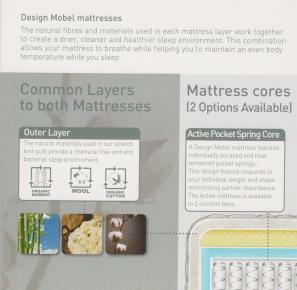 Choosing an Eco Mattress can help improve your home environment & your overall environmental impact. Firstly what is an Eco Mattress? It is mattress which has lower impact on the environment in terms of energy used to produce & transport, materials used & what will become of it when it is thrown away. Eco Mattresses are also usually better for your health as less synthetic materials are used & there is less potential for the release VOC s(Volatile Organic Compounds). Now choose wisely – which among the options? Natural Latex: Rubber trees supply the rubber sap which is then turned to rubber foam. You can’t get better than the original, natural source of latex. This foam is long lasting – think 20 years plus. It won’t dry out as fast as synthetic latex either. Although a small amount of VOCs are used in the manufacture of natural latex foam, almost all is washed out before it arrives at your door. The foam is usually layered with air pockets for structure, support & ventilation which means no need for metal springs. 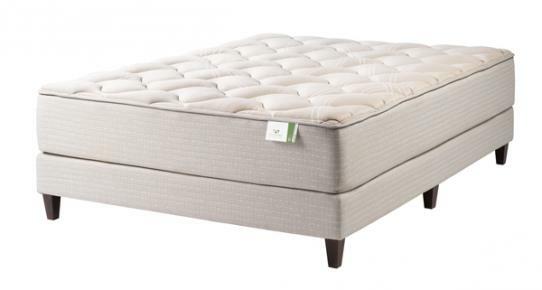 Other organic materials: Organic cotton, wool, silk & other natural fibers such as goose down, linen & even horse hair are sometimes used in mattresses as well. In Hong Kong I have not found these as readily available or as clearly credentialed. Therefore at Liquid Interiors we usually assist our clients in choosing a natural latex option. Where? There are many options internationally. In Hong Kong we have found the good people at Okooko have a similar ethos of balancing quality & sustainability. We have sourced eco-mattresses & have even had some custom made to be able to fold up to fit in a tiny lift & unfold in the apartment to a king size bed! 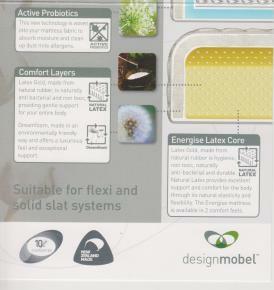 Liquid Interiors we can help you source an Eco Mattress & step up your space towards quality green design.